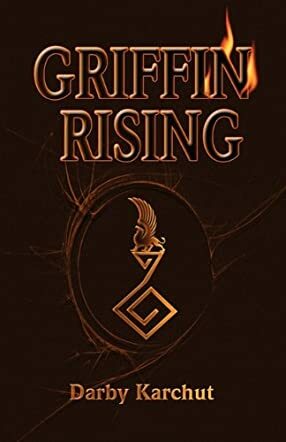 GRIFFIN RISING is her first novel. She is currently working on the next book in the series, GRIFFIN'S FIRE. Griffin Rising is the delightful story of a Tiro Angel -- a guardian angel. Being earthbound, their powers are limited. Being earthbound, they mirror man in all ways, even unto free will. Wind & Water, Earth & Fire. Being earthbound, they can destroy and be destroyed. In this story we meet Griffin, an apprentice Terrae Angeli. His first mentor was Nicopolis, a cruel angel who believed in beating his charges. Griffi's spirit was broken. He had little self-confidence and cowered before his mentor. Griffin was reassigned to Basil, who was understanding, kind and patient. He worked hard to build Fin's self confidence. Soon the two developed a father and son relationship. Nicopolis hated both Griffin and Basil and waited for an opportunity to seek revenge. I love this book. It is filled with humor and the author has left the door open for a sequel. The characters are wonderfully written and the plot is filled with adventure. The author has a winner!